If your computer has any of the following symptoms it is likely that it has been infected by malware. Call us as soon as possible as some malware endangers your personal identity and financial details and security. Huge increase or decrease in available Hard Drive space. 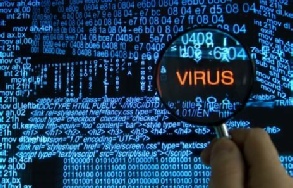 Mountain Stream Ltd are your local experts in computer virus and malware removal in Reading and the surrounding areas. Our aim is always to remove the infection(s) and get your computer up and running properly as quickly as possible. We can collect and return your cleaned laptop at no extra cost. Although we are unable to collect desktop computers we are able to come to you, with no Call-Out fee, at a time convenient for you. If required we are happy to install free security software to protect your computer from further infections.